DURHAM, N.C. -- Elena Fellman is a 12 year-old girl from Durham. She competes in swimming, soccer, horseback riding; plays violin and goes to the Durham School of the Arts. She's also an amputee. Now, Elena is getting ready to go to a summer camp next week where all the other campers and the counselors are just like her -- they're all amputees, and she's getting to do this thanks to a scholarship. Her mom, Kate Fellman, said they've never let the amputation create limitations for Elena. 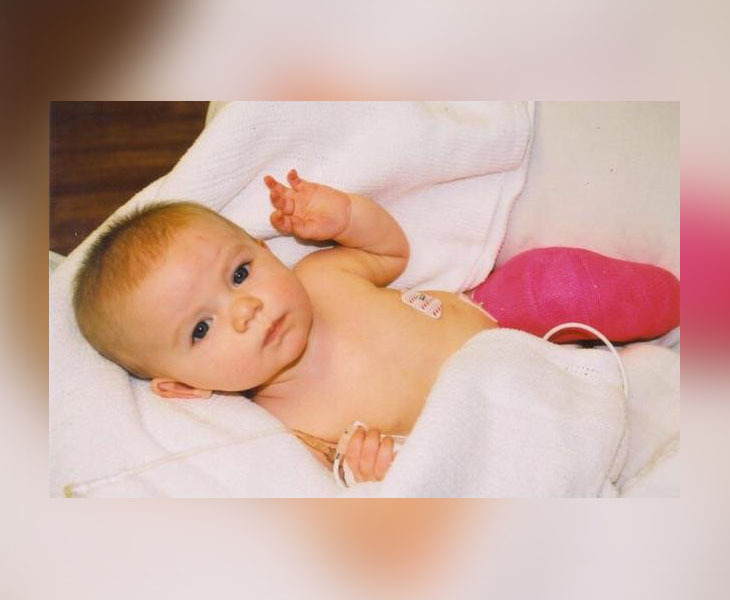 "I didn't know what to expect when my baby was born and she didn't have a useable foot and we had to embark in this world of being a parent of an amputee, and it was frightening at first because I just didn't know what to expect," Fellman said. "Because Elena has exceeded all expectations, then the only limitations that she has are the limitations that I would put on her, and so I've tried not to put any limitations on her, and she has just flourished as a child," Fellman added. Elena had her left foot amputated when she was 6 months old. "I had fibular hemimelia," Elena said. "So my left foot was really small and I only had two toes, and I didn't have the smaller bone in my leg, so I can't walk on that, so they had to amputate my foot. "It's not much different for me. I mean there's not really something that I can't do, that somebody with a leg can do, so it's honestly not that much different," she said. It's that kind of attitude that fuels Elena's competitive drive in sports, including swimming, where she has always competed against swimmers with all their limbs. "I've been doing it since I was three, so I've gotten kind of used to it because this season, I got first place in butterfly, and it's really fun actually," Elena said. 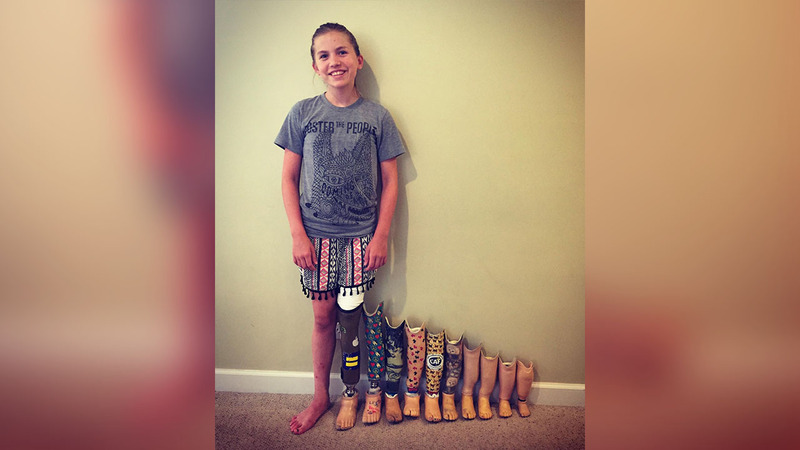 "When I swim strokes like freestyle or backstroke, I don't actually use my legs very much, so my arm, like my pull and strokes, are a little bit stronger than other kids that do use their legs a lot, so I kind of just rely on my arms a lot," she said. "And swimming is more arms than legs, so it just is normal." While Elena loves to stay active competing in several sports beyond swimming, she said her true passion is in the arts. "I really love to draw, paint, read, sew," she said. "I want to be an artist when I grow up. I want to do a lot of things when I grow up actually, like an interior designer, or an artist, or stuff like that. I just want to involve art." Fellman said her daughter's multiple talents have surprised her in the most delightful of ways. "There's nothing that she can't do," Fellman said. "It was all in my mind, when embarking on this adventure of what would her future look like and I just decided to treat her like I would treat any other child and she is turning into a great preteen." WATCH: Kate Fellman's message to other parents of children with differences. Kate Fellman says embrace the differences in your child. Elena will be heading off to the Paddy Rossbach Youth Camp next week and it's all about inspiring people who are amputees to take on challenges, be independent and create friendships. Elena and 142 other campers, will get to go to the Ohio camp for a week, for free, all expenses paid thanks to scholarships provided by the Amputee Coalition. You can donate to the Amputee Coalition here. Fellman said their family is so grateful for the opportunity because it allows her daughter to experience something where her physical difference isn't something that's different. "This camp, as a parent of an amputee, means so much to us," Fellman said. "Elena gets looks every time she goes to a new place - people, you know, wondering and asking about her leg - and to have her have a five-day experience where everybody expects her not to have a leg, and where the people with all of their limbs would be the odd one's out ... is just really special for me as a parent," Fellman said. Elena had the opportunity to go to the camp for the first time last year, and while she has experienced most of her life as an amputee, she had never met many other amputees before, let alone anyone with her same condition. "There were a lot of girls that have the same thing as me and it was cool," she said. "Other than camp, I've never met any other people with fibular hemimelia." "I met a really good friend there and I still have her contacts," she said. "I don't really have amputee friends, I didn't before, and now I have a lot. "It's fun because we can talk about problems we have that if we were telling people with legs, it wouldn't really make sense to them, or things like that and we can help each other with problems we might have," she added. WATCH: Elena talks about what the camp means to her. Elena Fellman, 12, of Durham talks about what the camp means to her.